Thank you to our wonderful Bainbridge Downtown businesses for a great holiday season! This year, we had a record number of people participate in the Shopping Spree/Gift Card Giveaway, and FIVE gift baskets, each worth over $600, were presented to the lucky winners, who were thrilled! Thank you to all the businesses who generously donated gift cards for the baskets, and to Calico Toy Shoppe for contributing the children's gift. Congratulations to the lucky recipients! Photo 1: Tomas McIntosh wins an adorable Penguin. Photo 2: Will Connolly accepts a gift from Calico Toy Shoppe. Photo 3: Casey accepting for wife Susan McGrath; Carla McGarvie, and Betty Wiese, accepting their gifts from Barbara Tolliver of The Traveler/BIDA Board. Photo 5: Jack MacArthur and BIDA Executive Director Jerri Lane. 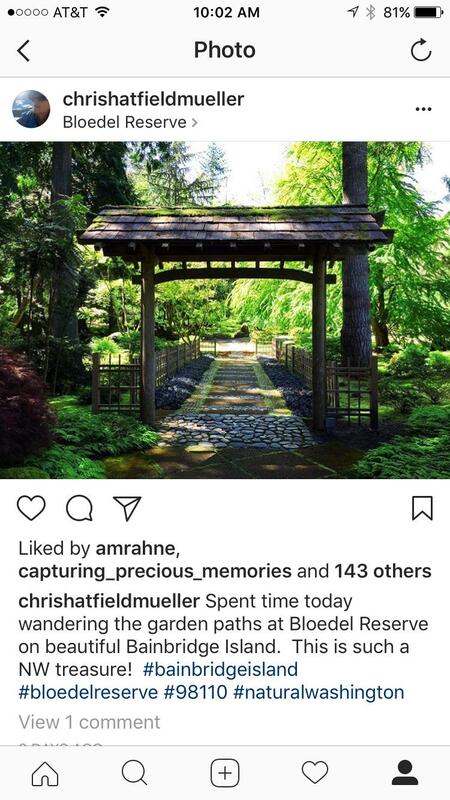 Visit Bainbridge Island and experience our wonderful, unique world. Escape from the hectic world of cities and malls, take a deep breath, kick back and relax. A simple streetscape retains our small-town character and a sense of place. We are one of only 12 nationally accredited historic Main Streets in Washington and you will find an eclectic variety of rewarding experiences. We are different in all the right ways. Come see us – and stay awhile – longer. 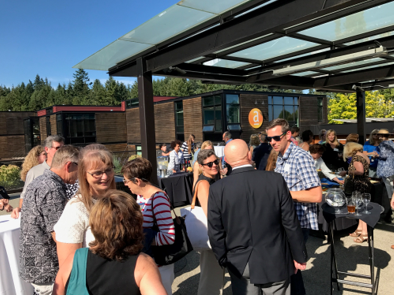 On August 16th, representatives from Visit Seattle came to Bainbridge Island to explore our stunning sights, unique businesses, and to promote tourism. Visit Seattle is a private, nonprofit marketing organization that has been serving as Seattle and King County’s official destination marketing organization for more than 50 years. We are happy to have had them here and look forward to another visit! Tango ZuluTango Zulu offers fair trade and U.S. – made clothing and housewares. It specializes in clothes made using traditional methods such as ikat, block-printing, and batik combined with a modern aesthetic. Its top brands include Mata Traders, Global Mamas, Texture Clothing, and Passion Lilie. The store also features a wide selection of hand-crafted baskets from South Africa to Senegal, Ghana to Guatemala, Nepal to Namibia. Pick one out and fill it up with locally made felted soaps, potholders from Nepal, and tea cups from Tunisia.